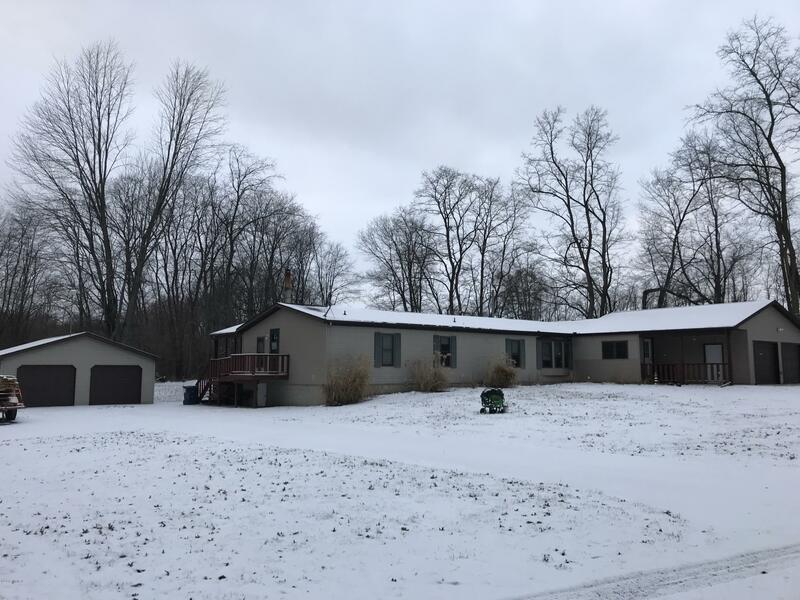 Large ranch home within Jonesville School District. This 4 Bedroom / 3 Bathroom has plenty of room for the entire family! Many updates include attached 2 car garage (24x24) with handicap entrance ramp, roof (2016), central air (2017), water softener (2016) and updated walk in ceramic tile master bathroom shower. Jack & Jill bedrooms share full bath. Family room features cool burner and sliders out to screened in porch. Den/office area. Oversized kitchen with island, lots of countertop space andcabinetry. Formal dining room. Additional 2 car detached garage (24x32. Home sits on 4 foot cemented crawl space. Storage galore !